The Texan team will bid farewell to Ray McCallum to make room for the newcomer. 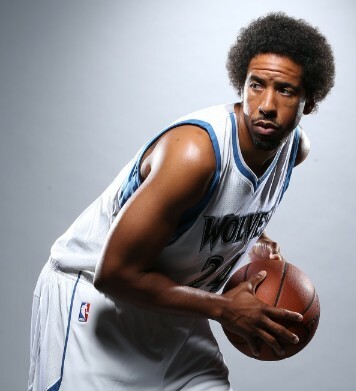 Andre Miller will join the ongoing project by Gregg Popovich and the Spurs. The 39 year old point guard is committed to San Antonio for the remainder of the season after he was fired a few days ago by Minnesota Timberwolves, according to several sources. Miller left the list of players that were cut and did not have a team, but after yesterday he has already reached an agreement to join the Spurs team that in an effort to create space for the new point guard, Ray McCallum was let go for the template to include Miller. With the arrival the expert playmaker, and former addition to Minnesota, Washington and Denver, among others, the Spurs will enjoy a trio of excellent point guards formed by Tony Parker, Patty Mills and Andre Miller. Rejuvenating their team with not new blood but expertise. The Californian player changes his dynamic coming from a losing team, Minnesota, into a winning project that is a real contender for the title with San Antonio. And he adds up to a bench within a handful of veterans that are still the benchmark in the NBA, although the momentum on that track is already on the way with players like Kawhi Leonard or LaMarcus Aldridge. Miller has over 17 years of experience in the NBA, where he has played 1,291 games with 12.6 points and 6.6 assists on average. Surely, he can still bring more expertise to the team in the playoffs. With McCallum out, Miller’s arrival means the output based on Ray McCallum, who came to San Antonio last summer from Sacramento should be at the very least equaled and hopefully surpassed by MIller. McCallum, was born in Detroit 24 years ago, was drafted in the second round in 2013 and this season has played 31 games with the Spurs scoring 2.2 points in 8.3 minutes, will now join the list of without a team players.